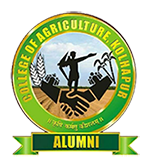 The responsibility of Students Co-operative store is assigned to Agril. Economics Section. The Professor works as Vice-Chairman of the Store and Assistant Professor of Statistics & Mathematics of this section rendered the duties of Secretary of the Co-operative store. The store is providing the necessary stationary articles like journal sheets, file covers, drawing sheets etc. required by the students. All the stationary required for RAWE programme is also supplied by the store at reasonable rates.For the benefit of students in communication the co-operative store has. provided two PCO telephone lines at two different places in the college campus.